Heya friends,hope you have already read the previous post which was a detailed post on epilators ,if not then read HERE . Epilator is an essential part of my life and i can't even think to go back those salon days. After having a kid ,I hardly get time to visit salons for waxing .. Hence i discovered the alternatives of waxing which are epilator, trimmer, shaver,etc. And at last i found epilators are very convenient to use because of the long lasting result. 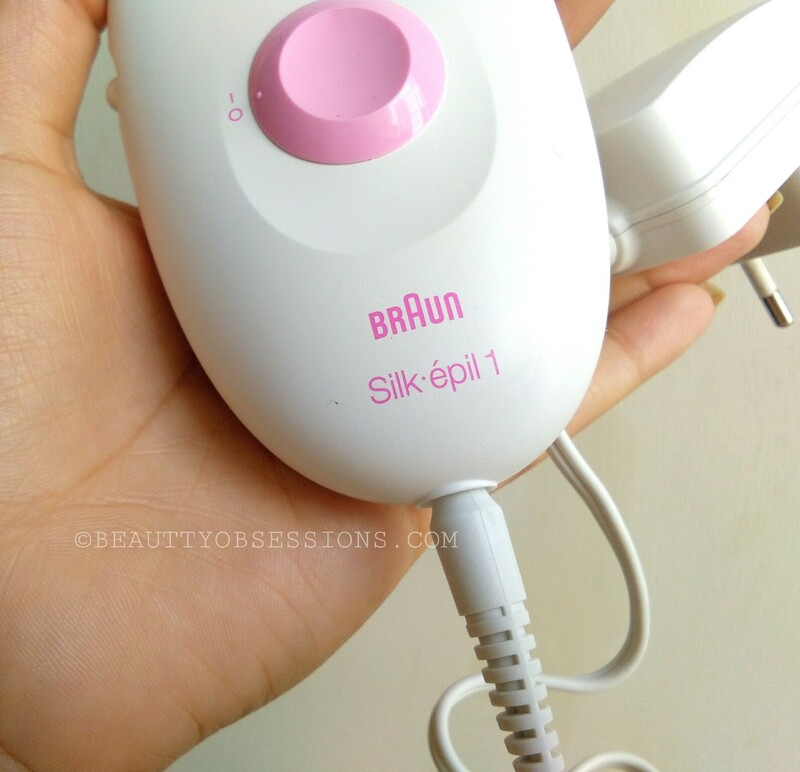 Earlier I had a Philips epilator and my sister took that away from me ..Then after that, recently i bought the Braun silk epilator and using these days.. Read below to know my experience with this beauty tool.. The epilator comes inside a small box.. There are an adopter , one tiny brush cleaner, the epilator and the manual inside the box.. This is not a battery operated one ,hence you have to put the adopter to the epilator to make it run. There is a 2 years guarantee on this product. Till now I have used it twice for both arms and legs. Initially it is little painful. I have already used epilators in past ,hence my body is so much adequate to the pain, that's the reason I felt very little pain. But if you are very new to the process, then you might feel more pain. But don't worry, the pain will reduce as time passes.. I too follow the before epilating processes to feel less pain and to make the epilating procedure smoother. 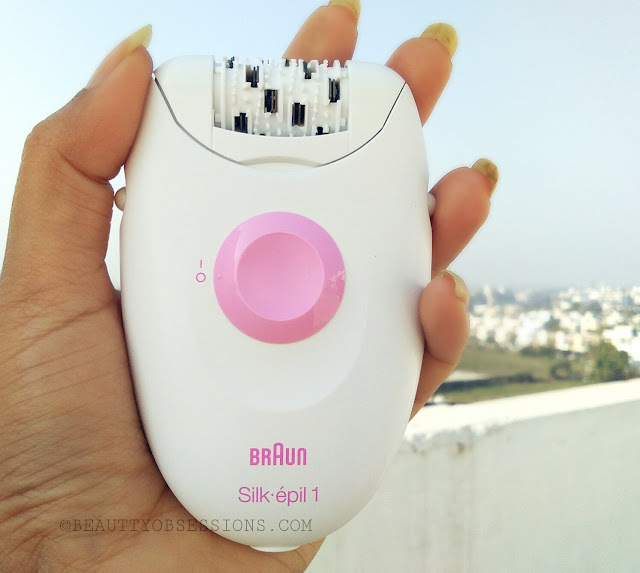 There are 20 tweezers on the head of this Braun silk epilator. After putting the switch on, the epilator head rotates in one direction so fast . Then you have to put the epilator over skin on 90° angle and move towards the opposite direction of hair growth. It will not remove all hair in one go ,you have to repeat the procedure 2-3 times to get the desire result. The device is very compact in size easy to hold as well. There is no speed setting option in this model which is a drawback I guess. It removes hair from the root, hence no hair regrowth till 2-3 weeks... Before epilating always make sure your skin is dry . Any cream or moisturiser will create greasy-ness and the hair will stick to body.. In that case the epilating process will not be smoother. 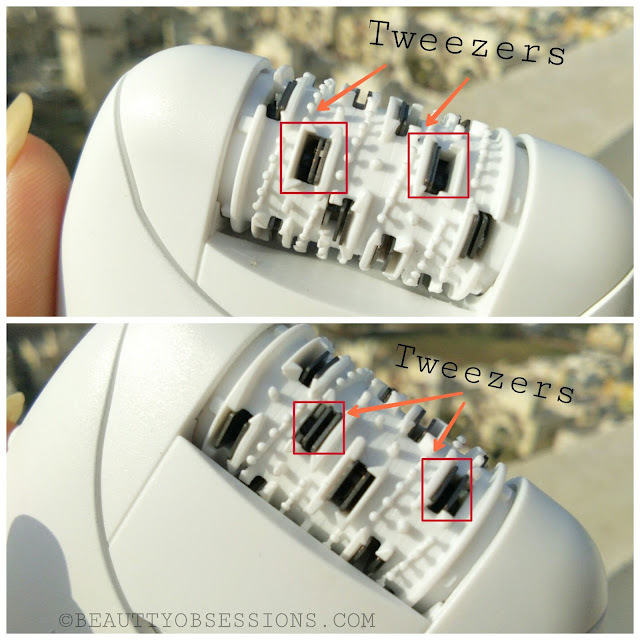 After epilating clean the tweezer head to get a hyeginic epilating experience every time. Hope you found helpful this post. Which epilator you swear by ? 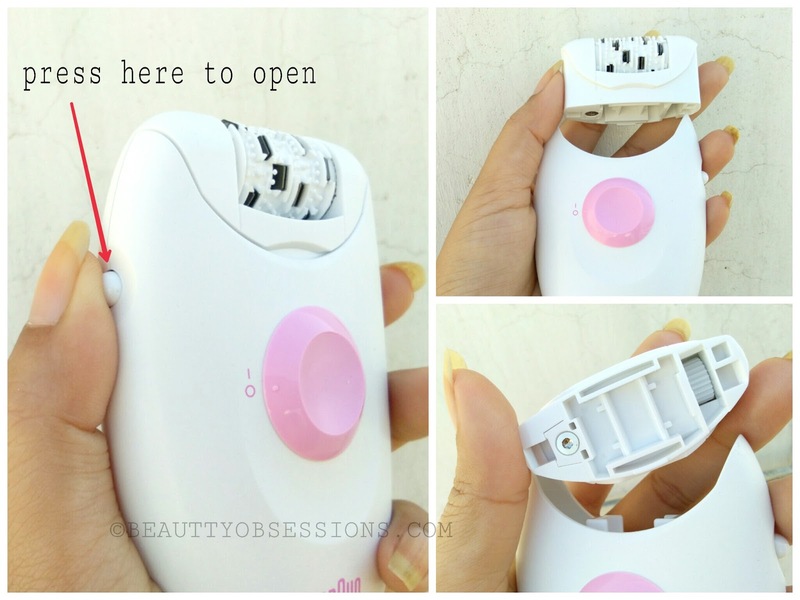 I have this epilator and I am using it for the last two years.. I quite like it because it is easy to use and removes smaller hairs too! I have been thinking about getting an epilator since many weeks now but postponed it thinking about the pain and stuff like that. Wow,I love its shape and size. It looks so handy and travel friendly. I have used brain epilators and they are just awesome when it comes to finishing smoothness! I have been wanting to buy an epilator for a long time. However was not sure of which one to buy. Your review is amazing and very helpful. I shall check out the options provided by Braun. I'm glad I came across your post. 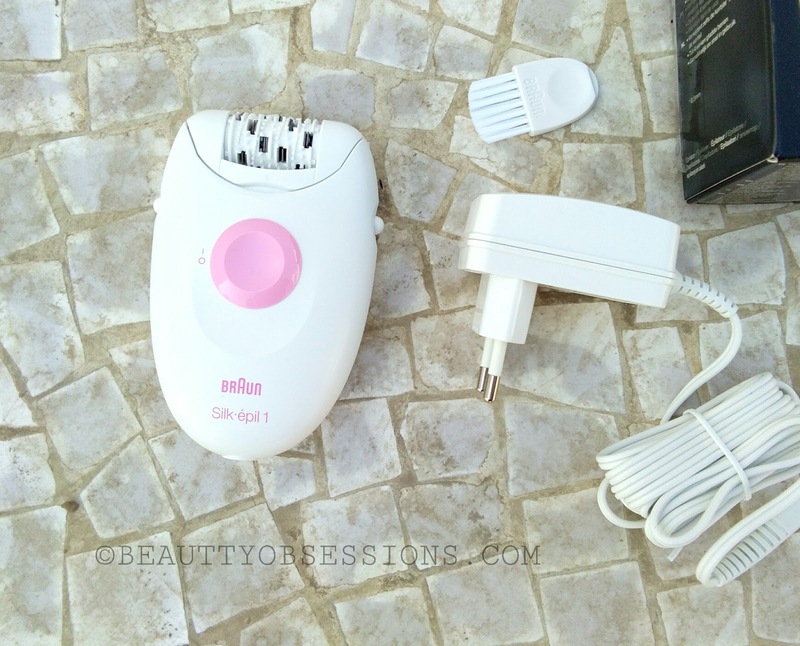 Really wanted a review of this Braun epilator,and you did it so well. Thanks for all the details! I had great experience with phillips next buy will be this one , really excited to try new company . Always wanted to try an epilator, isnt it painfull though? Braun is a great brand! Thanks for the candid review.